I think gummi bears are totally addictive. Give me a bag, and I’ll start by eating one or two, and then 10 minutes later, the whole thing is gone. 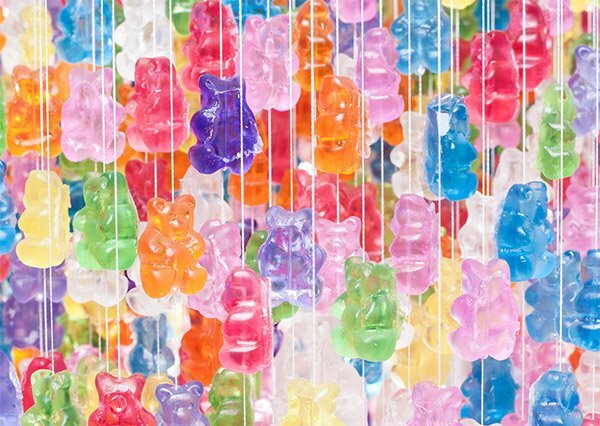 So when I saw this gummi bear chandelier, I started drooling at its sugary possibilities. 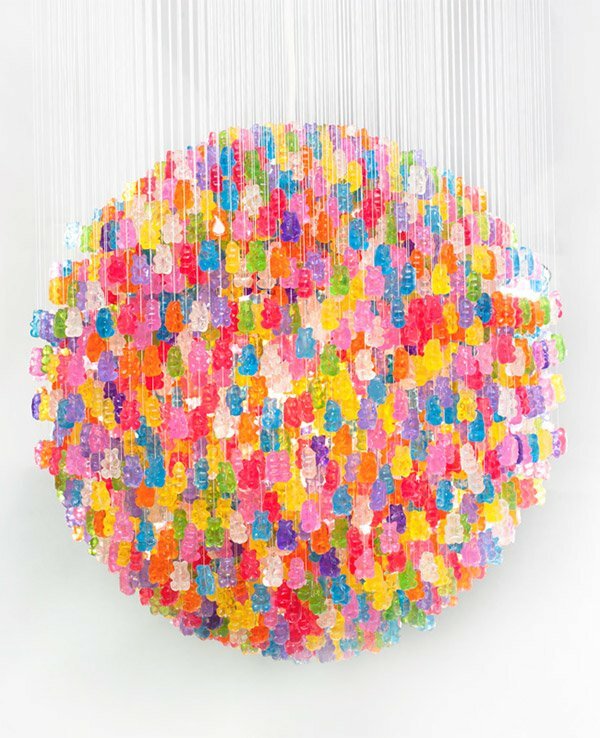 The chandelier was designed by artist Kevin Champeny, and is made from 3,000 tiny gummi bears. 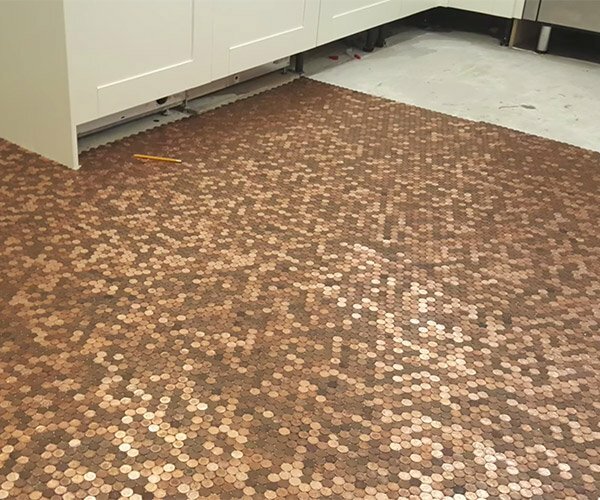 Now, the bad part. 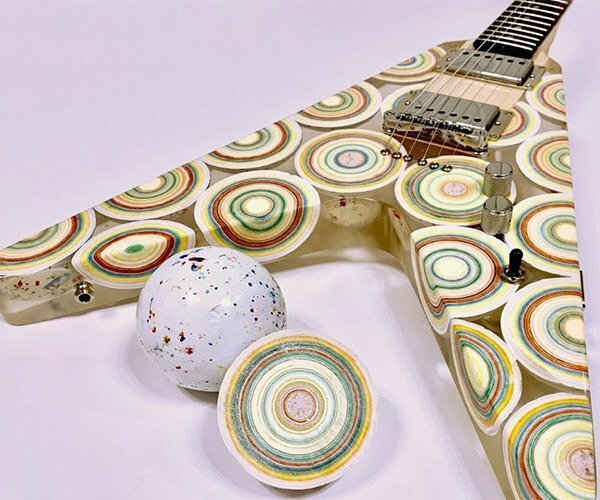 They’re not actual candies. They’re made from acrylic. Damn. While I suppose that means the chandelier will last much longer, acrylic is definitely not as tasty as sugar, gelatin, and the other things you find in actual gummis. On the plus side, the chandelier features gummi bear colors you don’t normally find, like blue, purple and pink. Haribo, you better get to work on those now. Purple Jelly Bellies are my favorite, so I can only imagine how good purple gummi bears would taste. 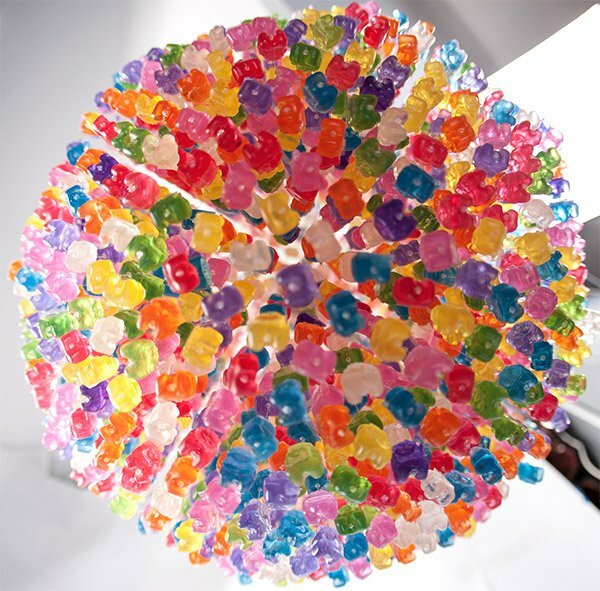 The gummi bear chandelier is a special piece Champeny created for Jellio, where it can be custom-ordered for $2400(USD) in an 18″ version, and $6500 in a 31″ version. If your pockets aren’t that deep you can always grab one of their larger-than-life GummiLights, for just $60.